Well, as it turns out, it led to the suspension, at least for now, of the effort by the U.S. to extend the talks, an effort that any U.S. citizen, whatever their politics, should find embarrassing. But let’s examine that statement. Why, one wonders, would Psaki find it so “hard to see” how an Israeli government could negotiate with a unified Palestinian one? 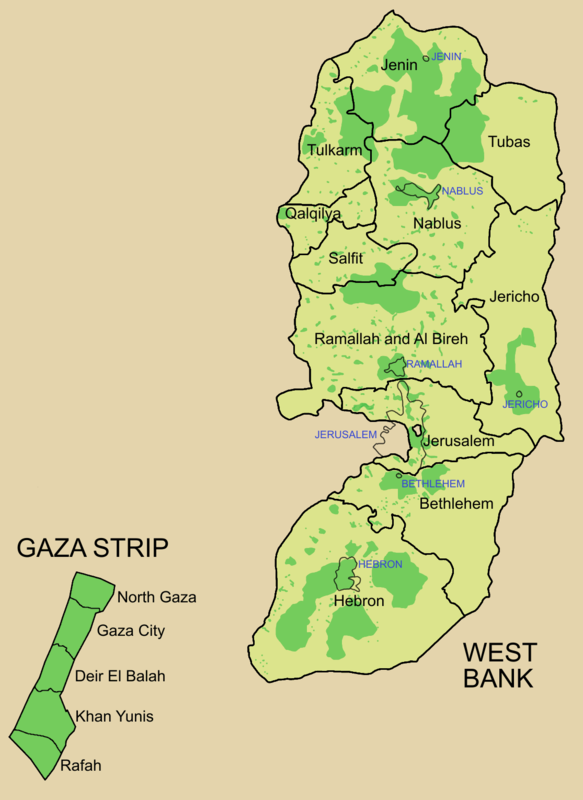 It is not Hamas Israel would be negotiating with, for a start, but a representative Palestinian Authority. Indeed, one of Israel’s chief complaints has long been that even if they struck a deal with Abbas, it might not hold since he did not represent all of the Palestinian body politic as, for example, Benjamin Netanyahu does for the Israeli one. More to the point, even if this deal represented a new and unified Palestinian government (which it does not, as I shall explain below), why must the parties involved in it all recognize Israel’s right to exist? After all, the current Israeli majority coalition includes two major parties – Likud and HaBayit HaYehudi – which explicitly reject the creation of a Palestinian state. In fact, unlike the Palestinians who would continue to be represented by Mahmoud Abbas, the Israeli Prime Minister belongs to one of those parties. Why does Psaki find it so easy to see how a Palestinian leadership could negotiate with such an Israeli government while finding it so hard to see how Israel could negotiate with a far milder version on the Palestinian side? Beyond this, the real issue for the United States, from what I’ve been told, is that the Palestinians took the U.S. by surprise with this move. They seem to understand that this hasn’t really changed Abbas’ approach to talks, but they also know that it will complicate any further efforts at diplomacy because Congress has already made it clear, through years of legislation, that any government that includes Hamas will not be welcome. Have the Palestinians Finally Moved Away From Dependence on the U.S.? The deal that Hamas and Fatah signed may actually be different from the previous reconciliation deals, but the test of that will be in the one area the other two fell completely flat: implementation. What this latest deal is, for the most part is an agreement to implement the previous agreements. There has never been any movement on those previous deals, so is there reason to expect there will be now? Maybe there is. The previous deals were struck with Hamas leaders in exile, not the ones running what there is for them to run in the Gaza Strip. That always presented a serious impediment to implementation. This one was agreed to in Gaza itself, with the Gaza leadership. That might make a difference, but only if there is a genuine desire on both sides to implement it. Even then, Israel can certainly act to block any meaningful elections, which the agreement foresees in six months. The timing of the agreement is certainly intentional. It is a response to Netanyahu’s ultimatum to the Palestinians to choose between more talks with Israel and reconciliation with Hamas. It is also a message to the United States. What that message is depends on where Abbas goes from here. If he moves to set up a technocrat, caretaker government pending elections, then he is probably planning to shift away from dependence on the U.S. If, on the other hand, the agreement flounders like the prior ones, then Abbas is hoping that this move will, in relatively short order, prod the Obama Administration to press Netanyahu for a settlement freeze. If that is the case, it is both a desperate and a vain maneuver. The Netanyahu government reacted as one would expect, by cancelling the talks between Israel and the Palestinians. This means little, as the deadline for these talks was a mere six days away. But notably, Netanyahu’s attempt to frame the incident as Abbas choosing the “terrorist Hamas” over peace talks with Israel has not met with initial success. Despite U.S. fecklessness, their rebuke of Abbas fell well short of what Bibi wanted and the European Union openly welcomed the possibility of Palestinian reconciliation and urged the resumption of talks. Netanyahu won’t change his tune, and, although the U.S. Congress has not yet chimed in, it is a sure bet that there will, in due course, be a bipartisan parade of congressional lawmakers supporting Netanyahu’s position that the Palestinians cannot be both unified and a party to negotiations. This, unsurprisingly, stands in contrast to much of the Israeli opposition. That the left-wing Meretz party condemned Netanyahu’s termination of talks was unsurprising, but the more confrontational tone of the centrist Labor Party was not certain until it happened. Labor’s stance means there will be at least some pressure within Israel to re-engage in talks. Yet, in reality, little has changed. These talks were dead in the water anyway. The United States is irritated with Netanyahu’s brazen disinterest in any progress, and now they’re even more irritated with the Palestinians for trying to stir up the pot and make something happen. But, as always, it is only the Palestinian side that faces any substantive consequences from Washington. And on the Palestinians side? Well, there is some potential for change here, but it will be a while before we know whether Abbas plans to take advantage of it. If he is not sincere about following through with this agreement, Hamas will never be party to such talks again until Abbas is out of power. At 79 years of age, Abbas may not be in power much longer in any case. And if he doesn’t follow through, aid from the West will continue unabated, the talks will remain in limbo and the status quo, including settlement expansion, will hold until something else breaks it. But if Abbas does pursue implementation of this agreement, there will be some tough times ahead. Congress will cut off funds to the PA and Abbas will have to count on more revenue from Saudi Arabia and other Gulf states. EU funding is likely to continue, but to whom will the money go? Israel will probably hold the taxes that it is required to hand over to the Palestinians, but only until the PA would collapse and then they will release it. But the disruption will add to the economic decline the West Bank is experiencing and which will get worse if they have to depend on Saudi outlays rather than U.S. ones. The Saudis have a well-earned reputation among Palestinians for pledging a lot more aid than they deliver. The PA may well collapse under this weight. Whether it does or does not, however, if Abbas pursues reconciliation with Hamas, he will have to also bring his case for Palestinian freedom to the United Nations with all the tools at his disposal and forget the lost hope he placed in the United States. In the short term, this will mean even more hardship for Palestinians in both the West Bank and Gaza as Israel will certainly take reprisal actions. But in the long run, it is their last, best hope for ending the occupation.